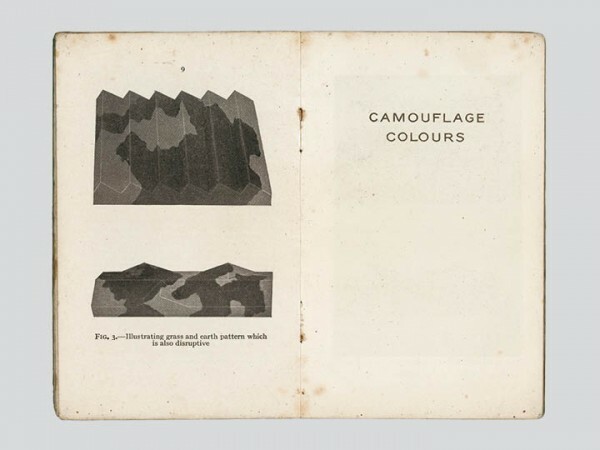 Camouflage of Large Installations by Charles Stankievech is a rare World War II handbook created by the British Government as a guide for factory owners to implement the then new theories of camouflage in order to protect industrial assets. 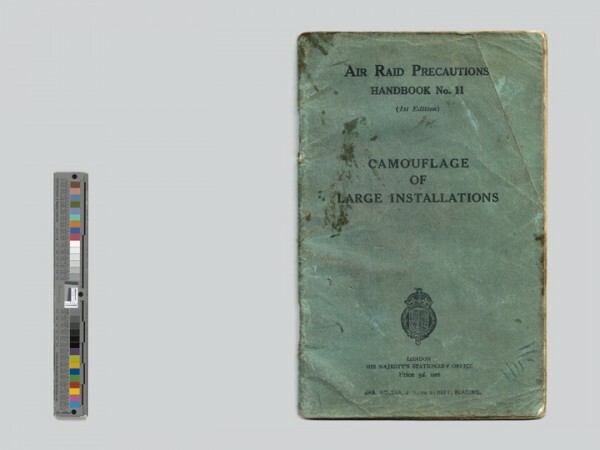 The handbook is composed of three sections: instructional, advertising by corporations supplying camouflage services and full-page colour swatches. 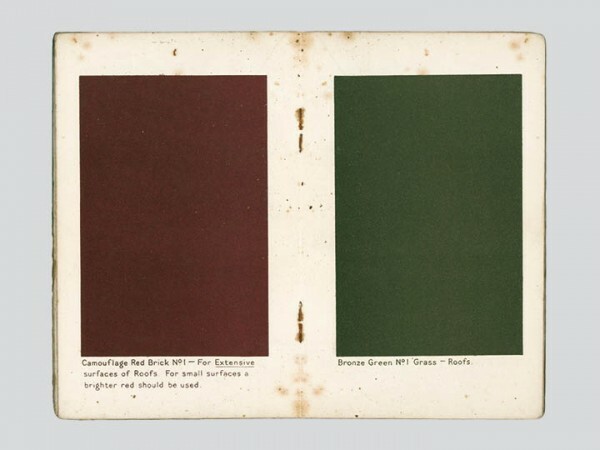 The full-page colour swatches are particularly beautiful and when viewed aesthetically are interesting forerunners to the history of monochromes, specifically Yves Klein’s first artwork Peintures (1954): a small portfolio booklet that presents a series of monochromes. 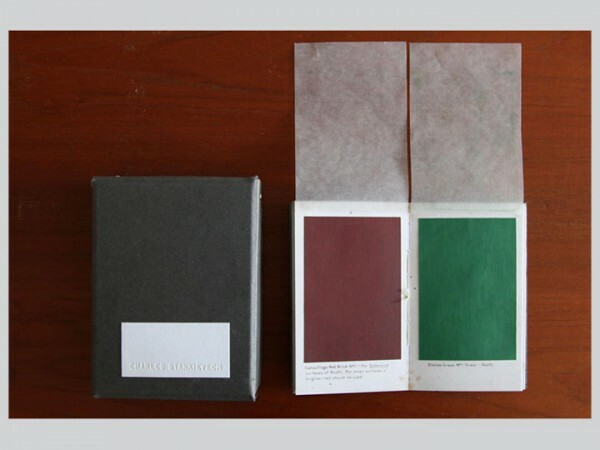 Interestingly, Klein had never made these paintings and the booklet was not a representation of work, but actually a deception used to secure his first exhibition in Paris. 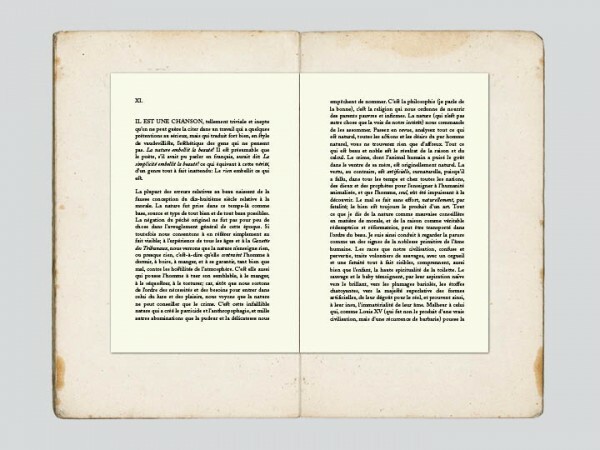 The contemporary artwork by artist Walid Raad / The Atlas Group, Secrets in the Open Seas, continues the tradition of monochromes and deceptions in bookworks and also completes the trinity of works included in the exhibition CounterIntelligence. 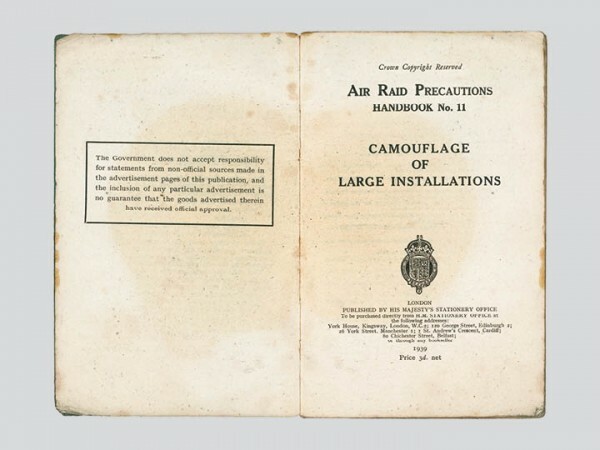 A reprint of the original war pamphlet seventy-five years after its initial publication continues K.'s interest in the book as archive of problematic imagery from chemical warfare (LOVELAND) to the problematic of race theory photographs (The Subjective Object). 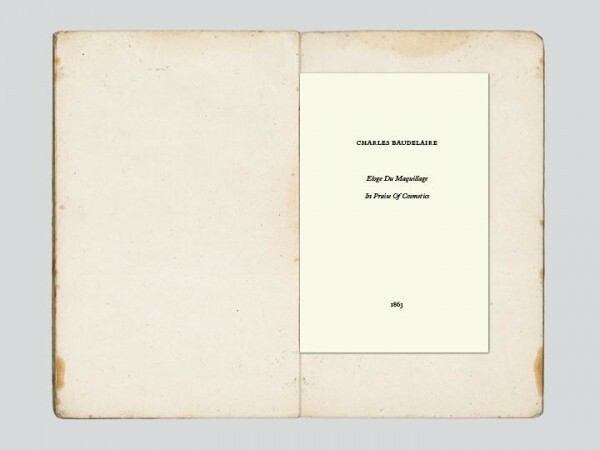 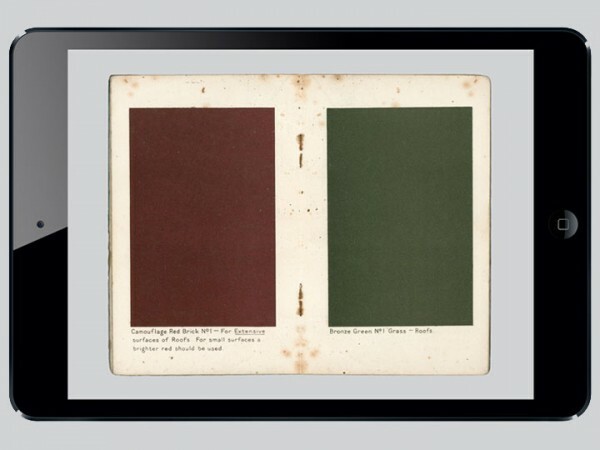 A limited edition of 10 books (with 2 artist’s editions) was printed in Berlin, including the camouflage swatches inserted as three color plates hand-painted using cosmetics by Charles Stankievech.The reprint also includes an insert of Charles Baudelaire’s “In Praise of Cosmetics,” a chapter from The Painter of Modern Life, 1863. 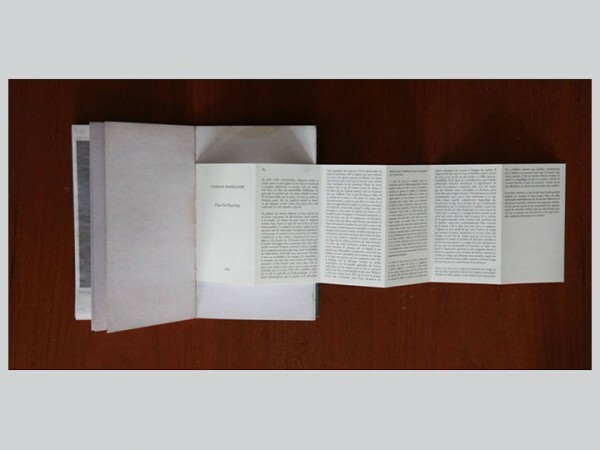 Contact us at info[at]k-verlag[dot]org for a limited edition quote.